DonnaInk Publications signs Author Lyn Gibson from Independence, Louisiana! Author Lyn Gibson contracted with DonnaInk Publications, L.L.C. for representation of her title, “To Be His Soultmate,” which will be debuted at Spooky Empire in Orlando Florida in October 2013. Ms. Gibson will be at Spooky Empire in Orlando, Florida to introduce her new title, “To be his Soulmate.” This first installment of the ‘Adrian Trilogy,’ brings with it a reckoning for those who visualize Vampires as a domesticated PG-13 creature recent releases depict. Based on true history and real legends, Gibson invokes the malevolent, more sinister side of Vampirism, bringing them to light in her masterfully written series. These characters have bite. They are true to the life of Vampire lore and each involve unique and intriguing back-stories before being cast into the plots of this saga as a whole family. Adrian, is a modern day businesswoman and she has struggled with being “gifted” since childhood. Having been plagued by visions and dreams and their repercussions; she is shunned by family and friends. Adrian chooses to lock her gifts into the furthest depths of her soul, yet one dream continues to haunt her warning of something to come. Enter Christian, on a vicious, rage-fueled tirade attempting to vindicate the murder of bride Cassandra. He is cursed. An enraged Deity plagues him, as he refuses to end this quest for blood. Wandering the planet for centuries, driven by the thought of someday finding his lost love, fate intervenes and he meets Adrian who has acclimated to her mortal world. Christian would now subject her to the lifestyle of the Vampire. She finds herself having to depend on gifts she has hidden well-within her being, as clashes erupt and she grips with her undying love for something she doesn’t understand. About the Author: Lyn Gibson is a Louisiana native. She earns the title of Official Vampire aficionado. 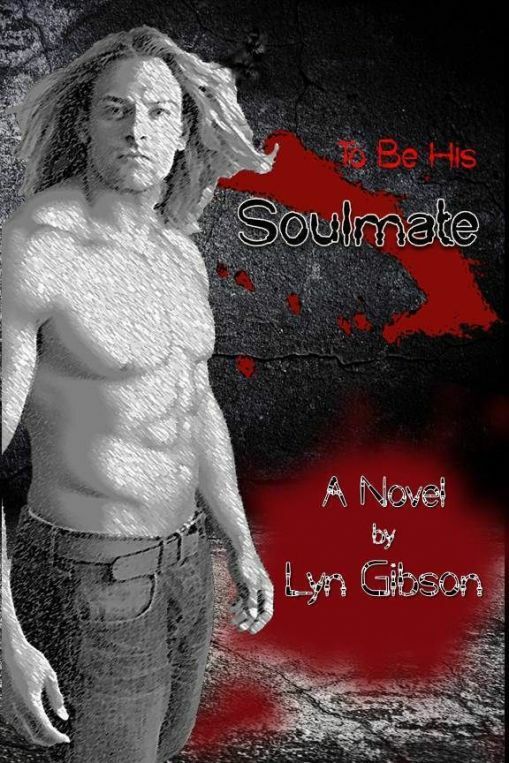 Author of, “To be his Soulmate,” the first installment of the ‘Adrian Trilogy,’ Gibson has researched local folklore and legend as well the histories of Vampire from all over the world. When asked what brought her to pen this series, Gibson was firm in her answer; “Recent works have left Vampire enthusiast, well, unenthused. The Vampire is fierce, and knowing, yet a graceful thing of beauty. There have been no true depictions of his nature since the 90’s.” Gibson, dubbed the new Anne Rice on talk show “Whispers in the Dark,” by hosts Viktor Aurelius and Jeff Niles is destined to be just that. She possesses a vast knowledge of the Vampire and is masterful in weaving the storyline of this trilogy. Gibson, and the literary world, anxiously await the dawning of Adrian and Christian in the ‘Adrian Trilogy,’ scheduled for release through DonnaInk Publications, L.L.C. October 30th – All Hollow’s Eve! This entry was posted in vampire history and tagged adrian trilogy dragster, ancient vampire, author lyn gibson, blog.authorlyngibson.com, french quarter, fury, legacy, lyn gibson, new orleans vampire, revenants, Short and Gory, soulmate, southern horror queen, the adrian trilogy, vampire attack, vampire history, vampire legend, www.authorlyngibson.com, www.facebook.com/southernhorrorqueen. Bookmark the permalink.